The name is in the design! 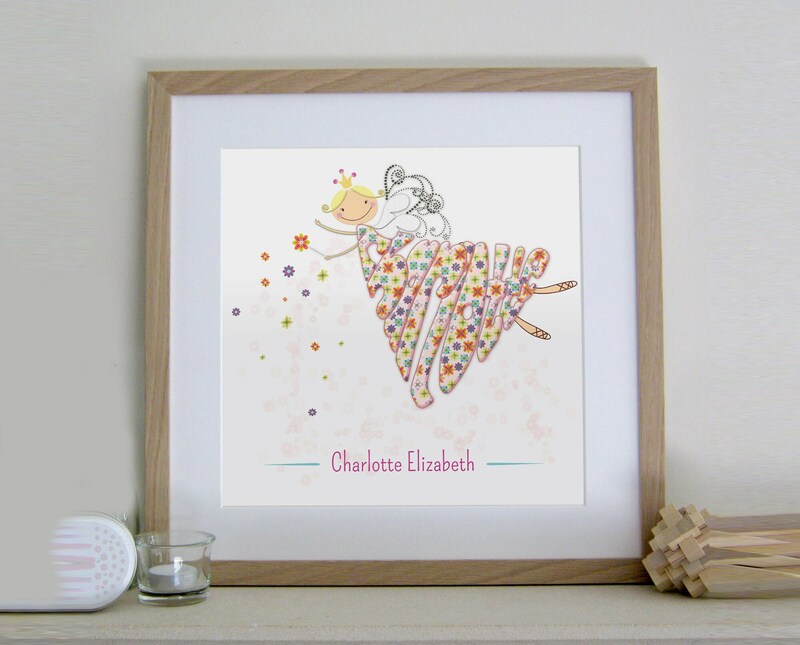 A perfectly thoughtful gift for your own little fairy, to brighten up a playroom or bedroom. 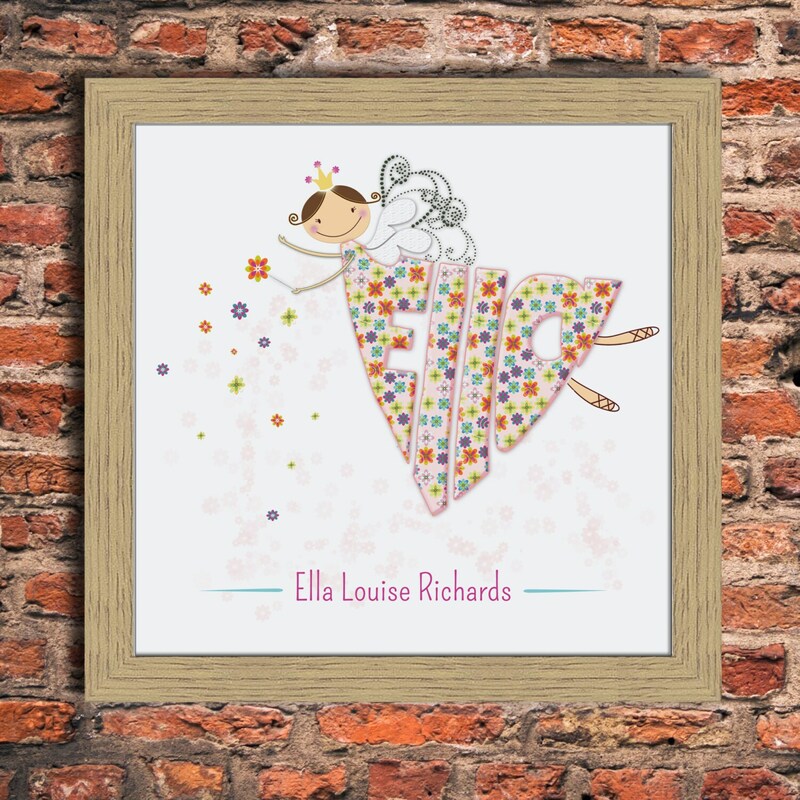 A pretty pink love fairy design that can all be personalised to incorporate any name. Charis' designs are initially drawn by hand, so no two commissions will be the same. There is also the option of adding a short message or full name at the bottom of the design. These designs usually take a week to 10 days to produce, but may be a little longer in busy periods. If you are in a hurry for it, please say and we will do our best to meet your requirements. If you'd like to receive a proof on email, prior to printing, please 'start a convo' but please realise that this may slow the order process down. Please enter the name and text carefully, at checkout. Text will be copied directly, including capitals and punctuation. The print comes in three sizes. Please select carefully. This listing is for a print only, no mount or frame is included. 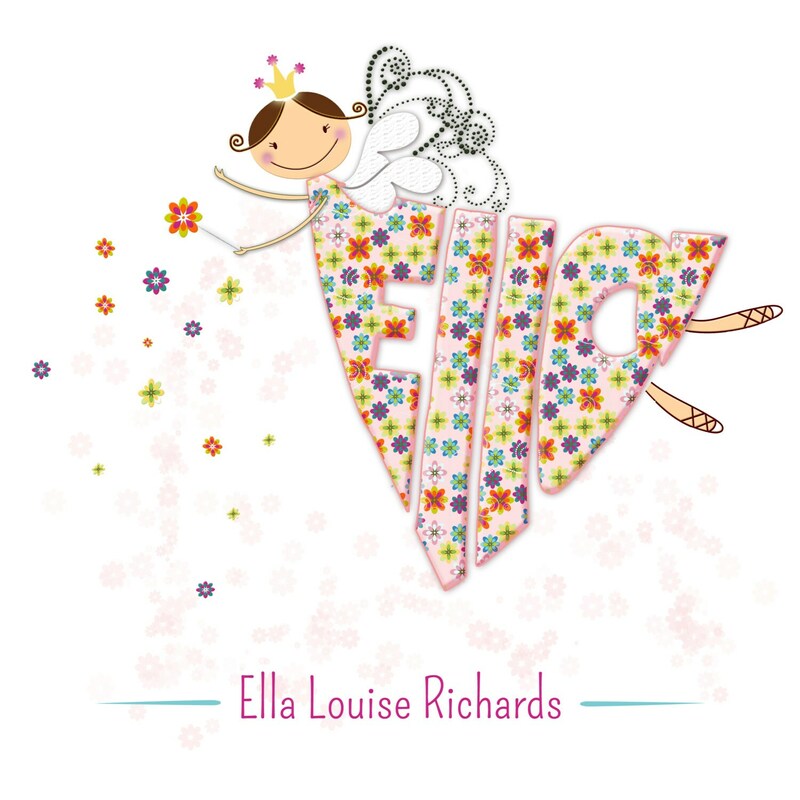 The flower fairy designs are printed on 235gsm, Satin Photo Paper. The colours Charis uses are sharp and vibrant and stand the test of time, looking great on any wall! Please be aware that different computers will reproduce the colours slightly differently and therefore the colours on your computer might appear slightly different from the print-out picture. Prints will be dispatched in a cello sleeve, and mailed flat in sturdy cardboard. Payment must be made at the time of purchase! We accept paypal and credit/debit though paypal. PLEASE NOTE: It is the responsibility of the buyer to pay any and all Customs Charges and/or Duties in his/her country related to their purchase. All items are dispatched within 10-14 days, but we do endevour to dispatch as soon as possible. All items are securely packaged and shipped via Royal Mail. You will be notified once the item(s) have been shipped. A proof of postage is obtained. UK postage is Second Class. We do not buy delivery confirmation nor insurance. If you would like either you can convo us for pricing and we will set up a reserved listing for you. I WILL NOT ship to a 'Third Party' address. This is to comply with Etsy policies and avoid fraud. Personalised items will not be refunded. We take great care in ensuring that all of our designs and products are produced to the highest possible standards. Due to the hand-drawn nature of our personalised designs, the over-all shape of the design may vary - for example a digger may face the opposite way, but it will be as close to the designs featured as possible, whilst making the name clear. Every care has been taken to ensure that all images and descriptions of our products are as accurate as possible but slight variations may occur. And lastly, please check personalised information carefully when ordering as we cannot be held responsible for any errors.